It is a condition of riding that all riders must wear a riding hat conforming to current BE standards and a BETA 2009 Standard or above body protector. All riders must be accompanied by another responsible adult (who can also be riding) and we recommend that each rider carries a mobile phone. All riders and accompanying persons should note the post code for the farm (SO22 6RG). Riders should not attempt any feat that is beyond their level of skill, experience or knowledge. All riders/trainers/ accompanying people must behave responsibly and not cause a nuisance to other users of the course. Riders should ensure that consideration and due care is given to other users when riding on the flat and over jumps, and in the parking area. Save for the death or personal injury caused by negligence, neither Meyrick Estates, Three Maids Chasers or The Browne Family accept any liability for any accident, loss, damage, injury or illness to riders, horses, ponies, owners, spectators, property, vehicles and their contents and accessories or any other person or property whatsoever, whether caused by their negligence, breach of contract or any other way whatsoever. 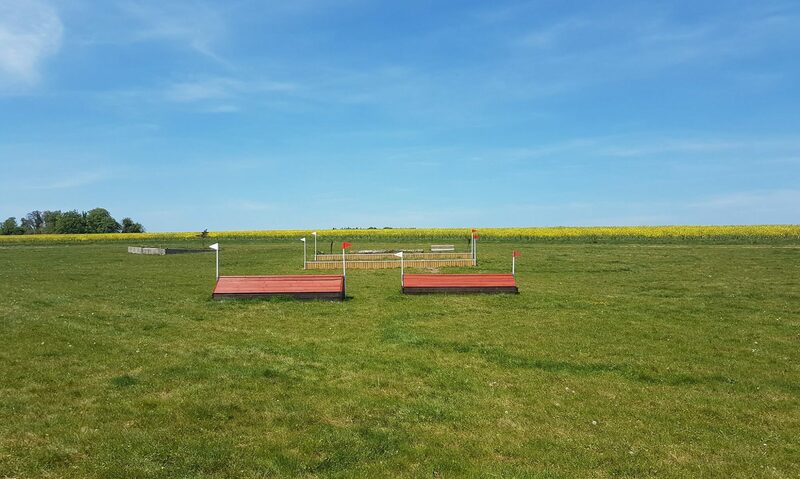 All fences and obstacles on the course are inspected regularly to ensure they are safe. It is a condition of riding that riders and their owners/trainers/parents (if the rider is under 18) and accompanying personnel have inspected the conditions and facilities prior to riding and that they are content that the ground conditions, and the construction and maintenance of the facilities and jumps are safe and acceptable to them. The owners of Three Maids Chasers are not responsible for the ground conditions or damage caused to the ground or fences caused by other users and animals. No dogs allowed on the course – no exceptions. We do allow dogs in the parking field but they must be kept on a lead and in close proximity to your vehicle. Please clear up after your horse and remove any droppings/ spilt hay. It is recommended that all horses/ponies using the facilities are insured. Three Maids Chasers reserve the right to cancel any reservation without notice and/or refuse admission. They cannot be held responsible for any consequential loss or liability, however caused. Course hire fees and clinic fees cannot be refunded except in the form of a voucher which is redeemable at another time. The voucher will only be valid for the year of which is was issued. I agree that the terms set out above are valid for the year 2019. When signed online, the person making the booking takes responsibility for informing all the people he/she is booking for of the clauses and terms found in this disclaimer, and guarantees that all riders are competent at using the facilities. Parents/guardians also take this responsibility for the children in their care. I have read, understood and fully accept the above terms and conditions for using the facilities and confirm that I use the facilities entirely at my own risk. Acting on behalf of all riders booked in by me, or their parents if under 18, I guarantee that all riders are competent to use the facilities at Three Maids Chasers.